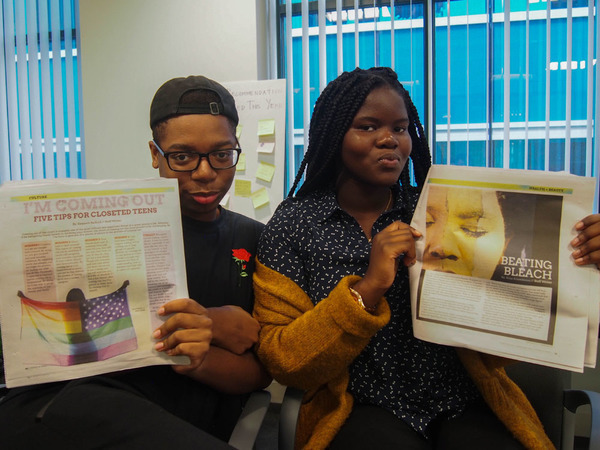 Teens in Print is Boston’s only citywide high school newspaper written by and for teens. 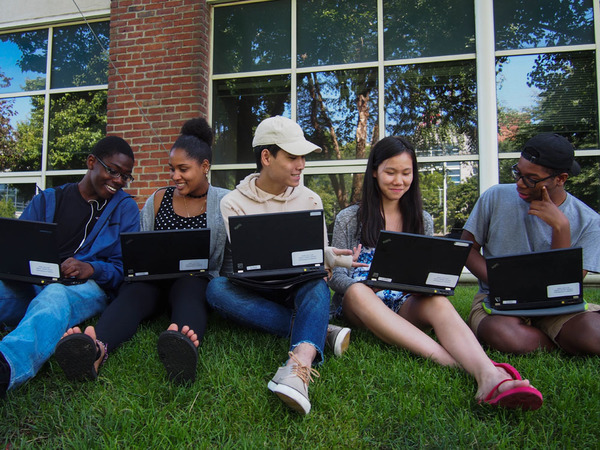 Launched by WriteBoston and The Boston Globe in 2004, TiP is a platform for student journalists, essayists, poets, and artists to share their voices. Published quarterly, the paper is delivered to high schools, libraries and community centers across the city. 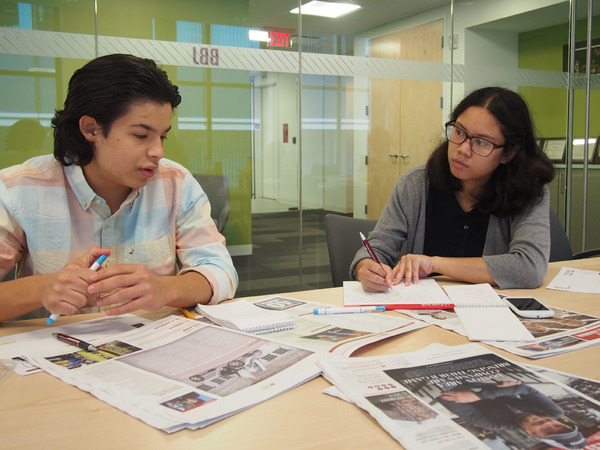 Teens in Print staff writers come from across the city on Mondays from 3:30 to 5:30. 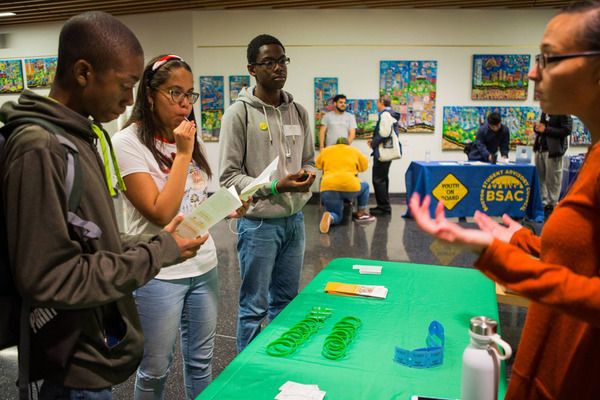 Make new friends, get free snacks, attend exclusive conferences, guest speaker events and field trips, and see your name printed in our citywide newspaper. Check out a Boston Neighborhood Network interview with TiP program director Carla Gualdron and TiP participant Sophia Meadows. Carla's story is a quintessential one of things coming full circle. 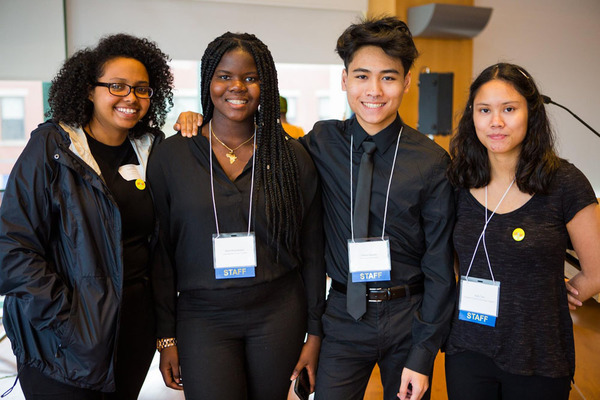 As a sophomore at the former Media Communication Technology High School in West Roxbury, she joined the Teens in Print newspaper as a staff writer. It was there that she got her first taste of ink. That feeling of accomplishment in seeing her name in print sent her on a quest to become to journalist. A Boston native, Carla stayed local and attended Emerson College where she earned her degree in print journalism. Since then, Carla has quenched her thirst for bylines through the Boston Herald, El Mundo newspaper, and The Enterprise. In 2016, Carla returned to Teens in Print as the Program Director, hoping to inspire budding cub reporters. Alyssa Vaughn is the AmeriCorps VISTA for WriteBoston’s Teens in Print program. A St. Louis native, Alyssa moved to the East Coast four years ago to attend Boston College. During her time at BC, Alyssa majored in English and American studies, performed with the Boston College Dance Ensemble, and studied abroad in both Brussels, Belgium, and Venice, Italy. She also interned at a local pilot high school as part of BC’s PULSE program, which piqued her interest in high-school-level youth development. Prior to her Americorps service term, Alyssa pursued her passion for journalism with internships at St. Louis Magazine and Boston Magazine, and she is excited to share that passion with the students of Teens in Print.